This weekend marks the Annual Festival of Barrel Aged Beers (FoBAB), here in Chicago, drawing breweries from around the nation to our fine city with kegs of delicious, wood-aged beer. If you did not get tickets to the sold out fest, have no fear, as Chicago's craft beer bars are filled with opportunities to get your lips on some of these award-winning beers throughout the week, and meet the brewers behind them. Upland Brewing Co., Tour de Sour - Five events held over four nights, each featuring super rare (and surprise) sour and barrel aged beer that rarely make it to Chicago. Nov. 14th (Friday only) – 2013 Bourbon County Brand Stout on draft all day and bottles of 2013 BCBS Backyard Rye (dine-in only). Nov. 14-15th – "Cran-Bruin," Flemish Style Sour Brown Ale with Cranberries, aged in oak barrels with Lactobacillus and Brettanomyces (5.2 %). Thanksgiving Dinner with Stephanie Izard and Revolution Brewing - Chef Stephanie Izard will be preparing recipes featuring products from her line of sauces and spices. Each course will be thoughtfully paired with a beer from Revolution Brewing, including their barrel-aged Scotch ale, Gravedigger Billy. Tickets and more info here. Goddess & Grocer Bucktown location. The Village Tap, Second Annual “Couldn’t get a Ticket to FOBAB Barrel Aged Beer Event” - featuring 20+ barrel-aged beers from breweries such as Allagash, Central Waters, Deschutes, Firestone Walker, Goose Island, Revolution, Surly and more! 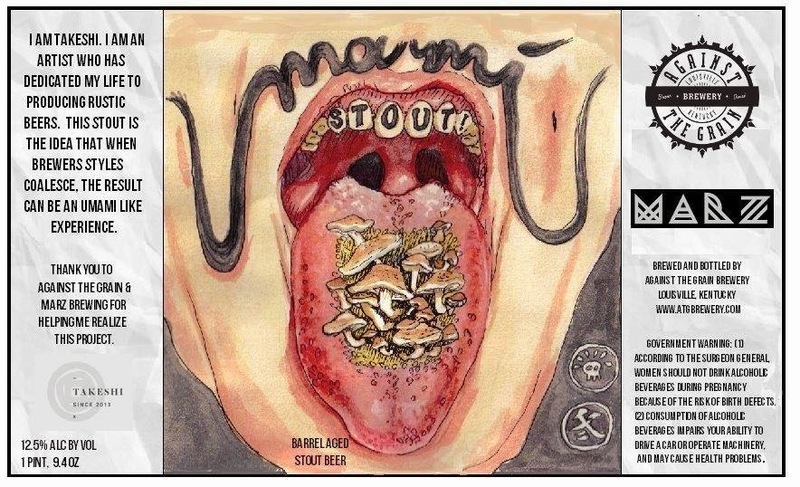 Against The Grain Brewery/Takeshi Brew/Marz collaboration release, Maria's Packaged Goods & Community Bar - Tapping of "Umami," Barrel-aged Imperial Stout with 80's Youtube Karaoke! Whole Foods Kingsbury, Red Star Bar - Stone's Arrogant Birthday - Join Stone Brewing Company's Steve Gonzales for some barrel-aged beers and Q&A to celebrate Stone's Arrogant Birthday. First 100 people will get a chance to win other Perennial beers, store discounts, glassware, clothing and more! A small bottle share will take place the hour before from 2:00 - 3:00 at the back entrance of the shop. 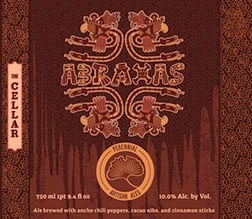 Small Bar Logan will be serving Abraxas 2013, Abraxas 2014 and Coffee Abraxas in coordination with our event. Upland Brewing Presents a Winter Warmer, Maria's Packaged Goods & Community Bar - Featuring their Bourbon Barrel-Aged Warmer, Dragonfly IPA and Dantalion Wild Dark Ale. To compliment these specialty brews, Chef Won Kim will be cooking in our outdoor patio grill a complimentary menu consisting of platters of barbecue chicken, potato salad, grilled vegetables and hot links. Jerry's (Wicker Park and Andersonville), Fountainhead, The Map Room, Half Acre Taproom, Revolution Taproom, Binny's South Loop and Lincoln Park Tasting Rooms. Kaiser Tiger's Lagerfest - Drink your way through lager history with their "Evolution of the Pilsner flight" featuring 8 lagers on tap including Pilsner Urquell and Weihenstephaner. Paddy Long's Barrel-Aged Malort and Cheap Beer Festival - featuring 12 Cheap Beers from around the country $3 each, Regular and Barrel-Aged Malort shots. 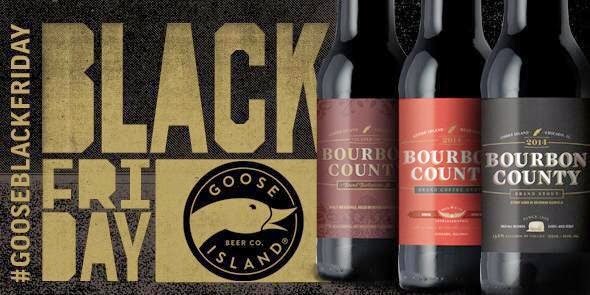 Don't forget about the upcoming #GooseIslandBlackFriday release of the 2014 Bourbon County Brand Stout variants. Events hit Chicago on Wednesday, Nov. 26th. For more information visit the event website.